I feel like there's an unspoken rule that all throughout the month of December you must be wearing red. Or maybe it's just me and my obsession with the holidays?? #FestiveAF So I decided to put together three fun and easy ways to wear read this holiday season. Enjoy! 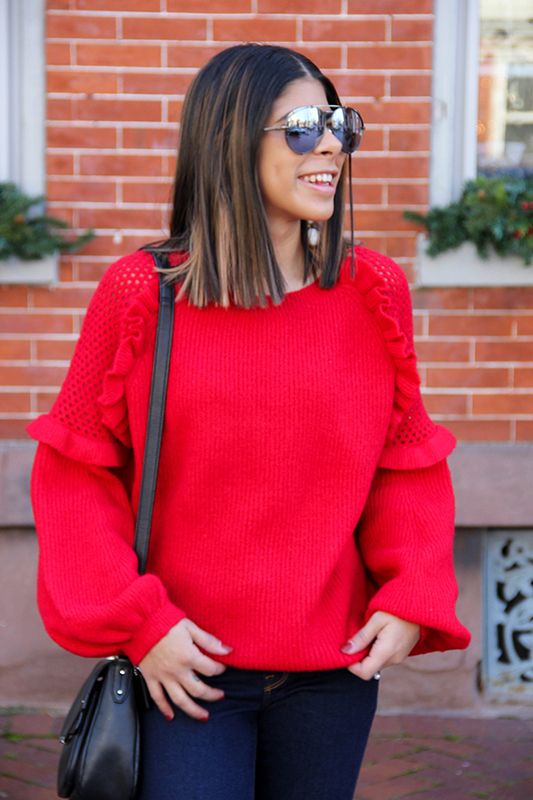 Look #1: Wear a fun bright sweater! I originally purchased this sweater in tan, but the XS was too small so I went in store to exchange it and they only had a red in the size I was looking for.. but I'm glad I did the color swap. 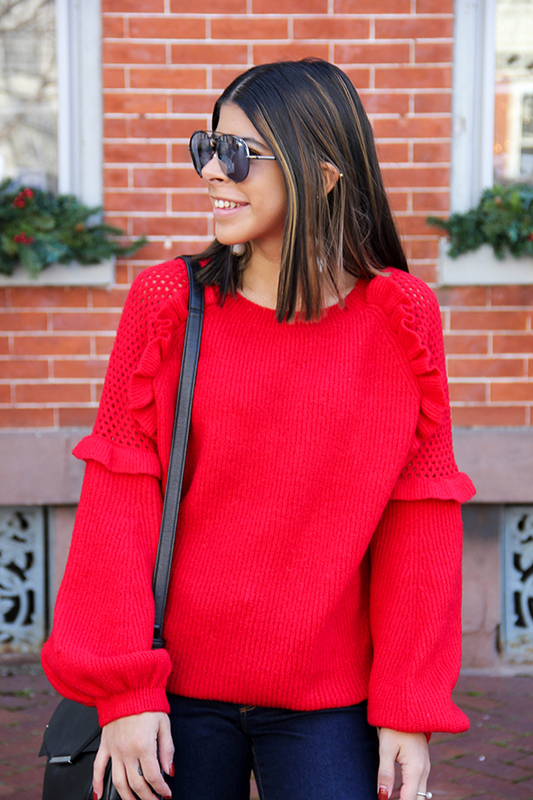 I think red is the perfect compliment to this sweater and the fun sleeves! Sweaters are my favorite winter time item because the possibilities in which you can style them are endless. My favorite way is pairing it with dark denim and some over-the-knee boots. But you can layer it over a dress, style it with a skirt, or even add some flare jeans for a cozy boho style. Look #2: This entire combo just screams Christmas. Christmas colors are my favorite time to bring out the fur vest. It added the perfect detail to a simple red dress. Also can we talk about these shoes?! Definitely the perfect holiday party look. Look #3: If you don't own a red sweater or red dress, no worries (although I may be a little worried).. just add the red to your lips! I thought finishing this look off with a red lip was the perfect way to add some pop of color. If you've never done a red lip before, don't be afraid to try it out! I didn't think I could ever pull it off, but I ended up loving it. I even wore a red lip with the holiday dress I shared here.